More than 800 agricultural experts are expected to attend the Agribusiness Congress East Africa Conference in the Tanzanian capital of Dar es Salaam from January 28-29 where leaders in the field will focus on finance, best practice and sustainability in the growing farming sector. According to the Event Director, Liam Beckett, the conference will be opened by Tanzanian Minister of Agriculture Food Security and Cooperatives, Eng. Christopher Chiza, and Minister of Livestock and Fisheries, Dr. Titus Kamani Mlengeya. Mr. Beckett went on to indicate that Zambia, Uganda, Mozambique, Malawi, Liberia, Kenya and Ethiopia are also showing strong growth in the sector and that this development makes it necessary for the sector to welcome new technology and modernize their farming techniques. 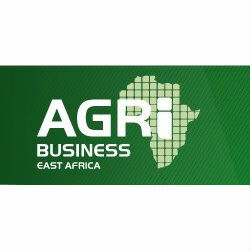 Topics of the two-day Agribusiness East Africa conference program will include East Africa as an Agribusiness Investment Destination; Driving the business mind-set in the East African farming community; Finance; Post-harvest losses and sustainable practices; and empowering emerging farmers.